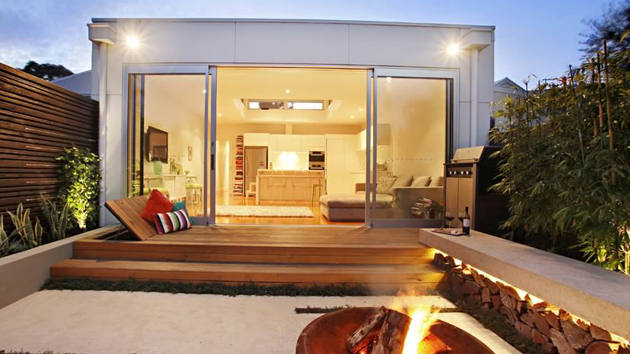 Home designs vary and that does not exempt the outdoor area. 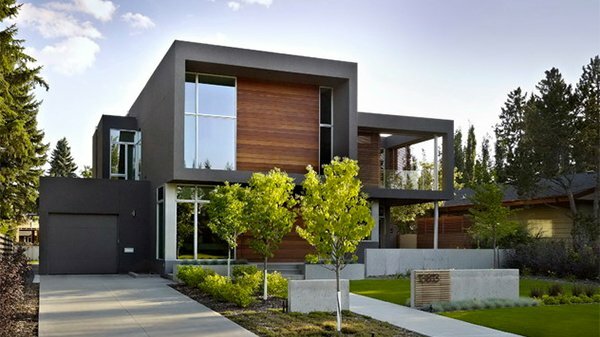 Most of the time, the landscaping would complement with the architecture and interior of the house. This way, the home’s look is being extended outdoors. Landscaping can be done in different manners and there are also a number of choices in choosing what items to place on a garden. Of course, plants would be first on the list. Then trees, stones and other landscaping accessories follow. This is a narrow space but the designers were able to make it look like a tropical vacation spot using trees on the sides. 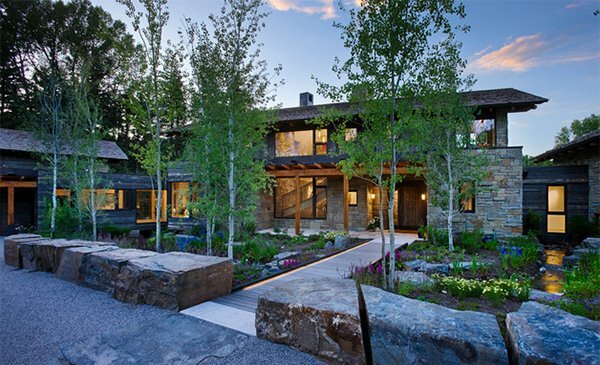 The Birch trees on the facade of the home were subtle additions to this front yard and it complements well with the rocks and pathway. Adding the trees to this pool area add some depth to it. Pencil evergreen trees complemented with the topiaries in this Mediterranean landscape. What you see is a Phoenix Dactylifera ‘Medjool’ palm tree which looks great for this entryway. Placing a few trees planted on the same distance is a good choice especially if you have a beautiful home with a modern style. 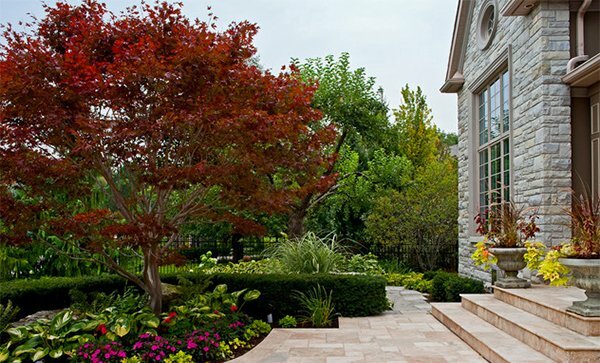 A Japanese Maple tree which is the reddish tree acts like a focal point of the landscaping. Surrounding it with flowers and other plants made it look even more beautiful. 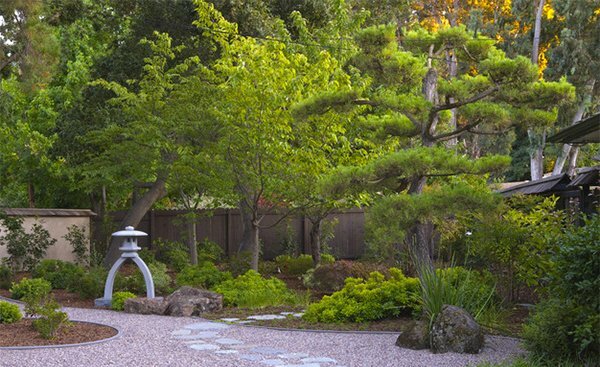 Having a Japanese garden is a good idea. It’s like you will be transported to a new place once you are in it. There are different trees in the garden but you will surely notice the tall pine tree which is a Japanese Black Pine or Pinus thunbergii. It is bonsai trained to fit the garden. 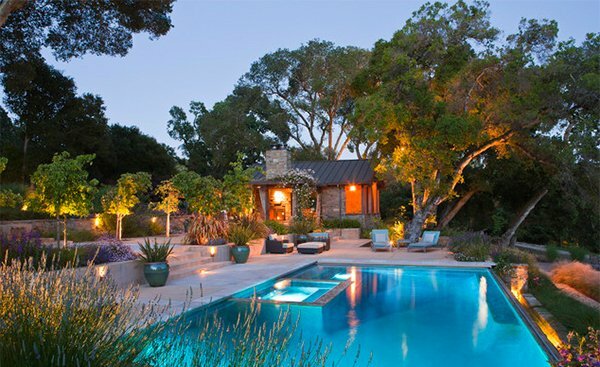 Having a bunch of trees on one planter surrounded by plants is an excellent way to create a splendid looking pool area. 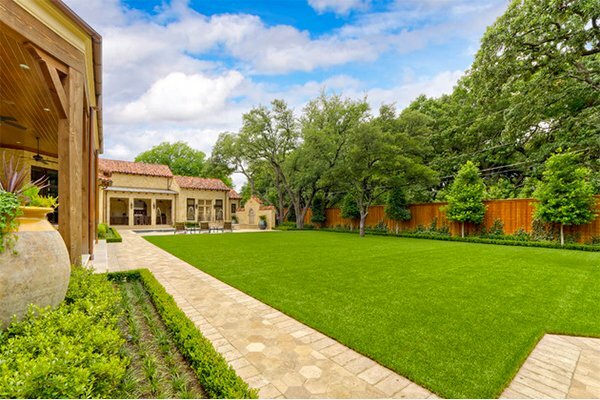 A Tuscan residence features majestic Live Oak trees with expansive lawns and travertine pathways. Oak trees were preserved in this area to create some natural landscaping. More trees were then added to accentuate the view. Using Emerald Green trees as fences are a good way to create privacy while being a lovely addition to the landscape. 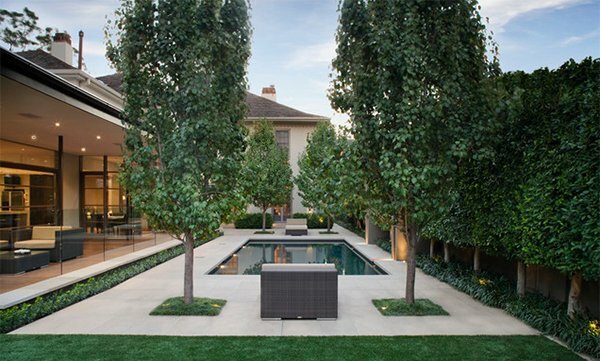 Adding four trees for the corners of the pool are like placing a guard to secure the area and give it privacy. This is a beautiful Mediterranean house but we love how the trees were scattered and distributed in the landscape. 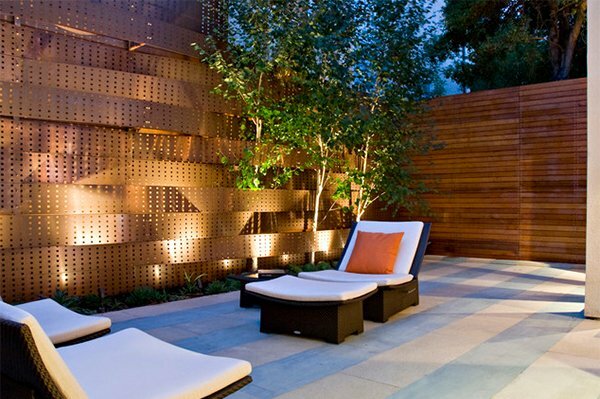 You will be amazed to see that the trees here were threaded using the copper fence. See? 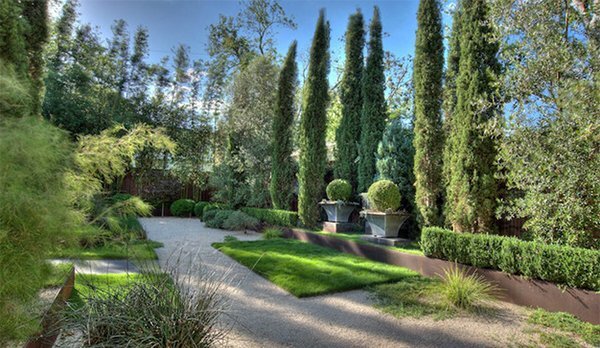 When you landscape with trees, it adds a strong impact to your yard. Some want to crowd their landscape with trees while other prefers to use a minimum number of trees especially if they are aiming for a modern landscape. 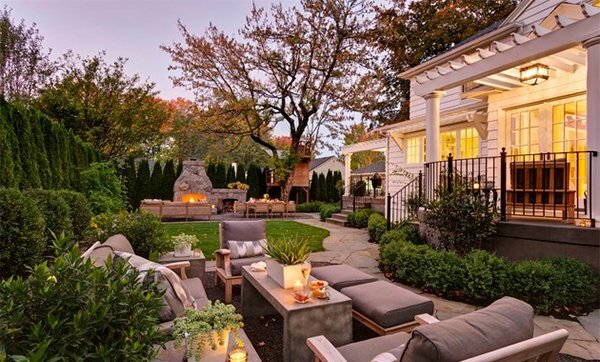 There are different ways to design your garden and your yard. You can even try a desert landscape. It’s very idealistic and trees can really add beauty in our house. I agree with this post and we even put some plants inside our home. Plants can give us fresh air so we really have to consider putting it on our homes. 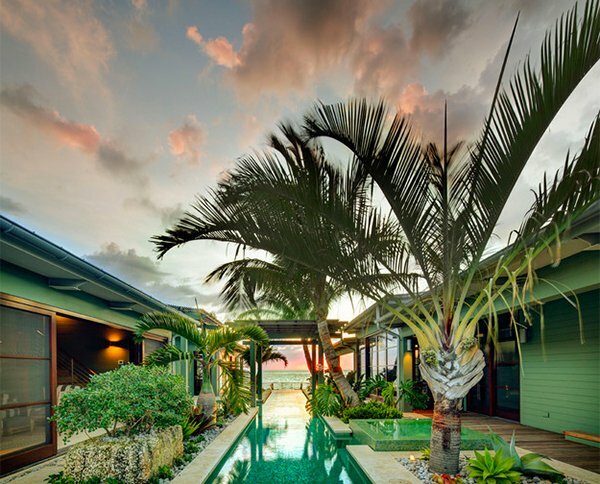 I want the custom-built trees inside the house especially if it is beside the pool. I called this landscaping as Green Living,it’s beautiful. 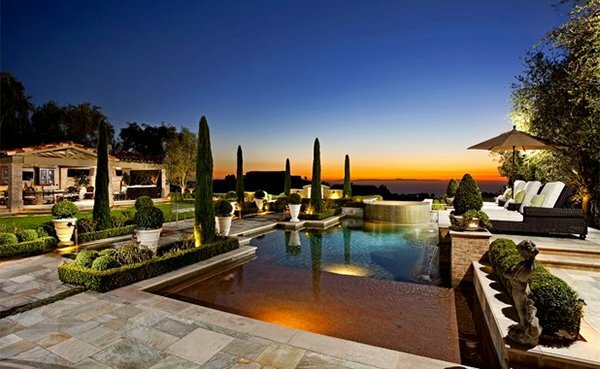 Nice view for BARTHOLOMEW RESIDENCE,the sky suits to the beauty of the pool. it will be refreshing if we have plants in our home like mine…. and I still continue planting for more plants..
Amazing compilation..good job for the architects. I like the landscape of Chad Robert.It’s great!!! 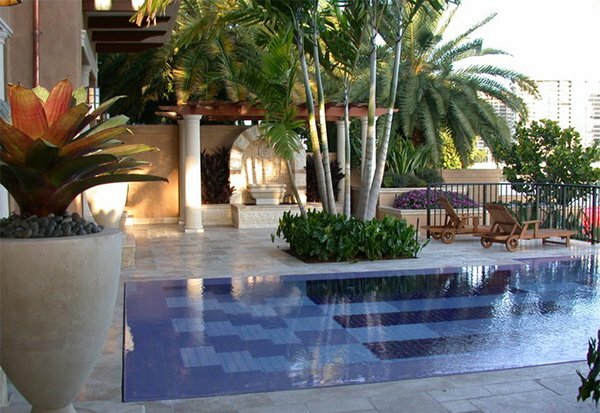 I ‘m planning to redesign my pool and I like the splendid looking pool area and thanks for the idea it will helps me a lot.